Many people choose one (or a cluster of related) industries to focus on as part of their niche. Some industries are home runs, meaning they have a high potential for being well-paid and having lots of available work. But, if you have passion and expertise in some specific area, you can be paid well and build a career in any topic you choose. The thing to do is to commit to learning everything you can in your industry, so that you truly “get” that industry and become a go-to person for well-written content in your topic area. So, what are some examples of industries where freelance writers are in demand? 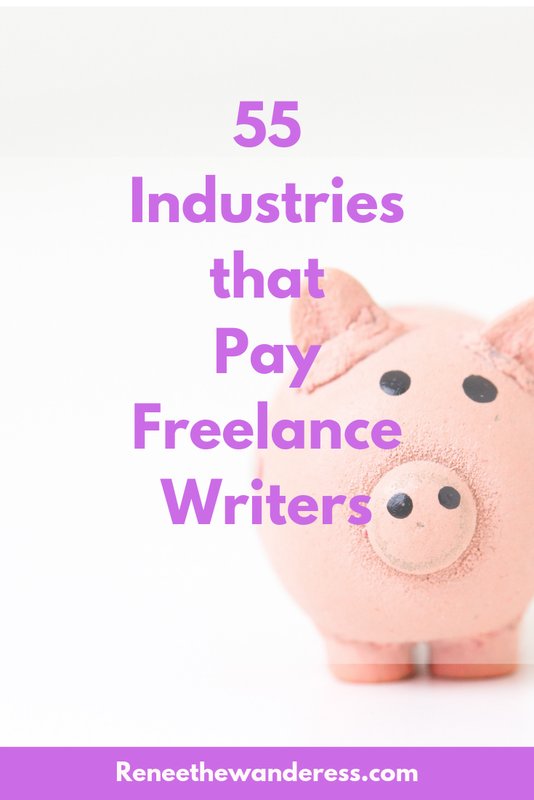 I’ve created this list of 55 industries where you can get paid to write. …And that’s really just the tip of the iceberg. In freelance writing, there’s something for everyone. There are writing jobs available in all of these industries and more. All you have to do to get started is pick your niche, get your application together, and apply… and then start building your expertise in the topic you choose! That’s all you need to get paid to write. What Industries Sound Good to You? Are there any on the list that speak to you? Tell me in the comments! Newer PostCreating a Niche By Content Type: When Should You Do It?